Looking to simplify your fuel transport and refueling operations? A Gas Caddy can be part of your solution! Designedwith polyethylene, the unit offers long lasting performance with chemical resistance to corrosion, rust, and degradation. With capacities of 28 or 15 gallons you can store just the right amount of gasoline needed for quick and easy refueling of your generator, personal watercraft, mower, tractor, snowmobile, ATVs, and even your boat. 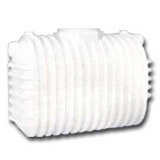 Available with manual or electric pumps, these plastic fuel tank caddies are versatile, convenient, and economical. The Diesel Caddy and Standard Fuel Caddy are both designed to meet U.S. Coast Guard, U.N. and DOT Standards when used according to fuel transportation guidelines. 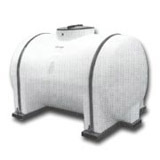 And with capacities of 28 gallons, these units are ideal for larger capacity storage and refueling on sites for a series of days. See the Gas Caddy PDF Flyer for additional information. 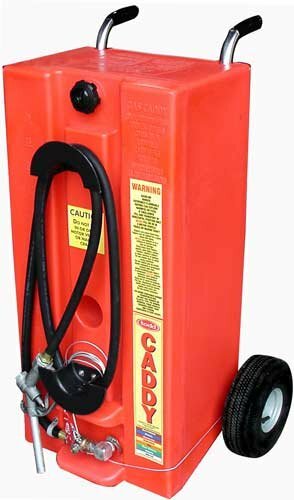 The Gas Kart is offered in a smaller capacity of 15 gallons, ideal for refueling small machinery and storing where space is a concern. Long lasting and durable, these units perform with strength whether stationary or on the go! The Waste Water Caddy is a unique and easy solution for fast waste removal, namely on campsites and for use with RVs and Campers.